Home Did You Know	“DENNIS EDWARDS” A TEMPTATION GONE TOO SOON! The legendary lead singer of the “Temptations” passed away one day before his 75th Birthday. Edwards was born in Fairfield Alabama on Feb 3, 1943, and started singing in his father’s church at the age of 2. When his family moved to Detroit, Michigan he continued to sing in the church his father pastored and eventually became a choir director. During his teenage years, he joined a Gospel group called”The Mighty Clouds of Joy”; while studying music at the Detroit Conservatory of Music. Unfortunately, he was not allowed to sing or listen to nonreligious music in his home. His mother did not approve of him pursuing a career in R&B music. After serving time in the military, he was retained by Motown Records and assigned to join “The Contours ” after their lead singer fell ill. In 1967 he was drafted into “The Temptations” replacing lead singer David Ruffin. He led the group with such hits as, “I Can’t Get Next To You “, “Cloud Nine”, “Ball Of Confusion”, Papa Was A Rollin Stone”, and “Shakey Ground” among many others. “Cloud Nine” and “Papa Was a Rollin’ Stone”, won Grammy Awards. 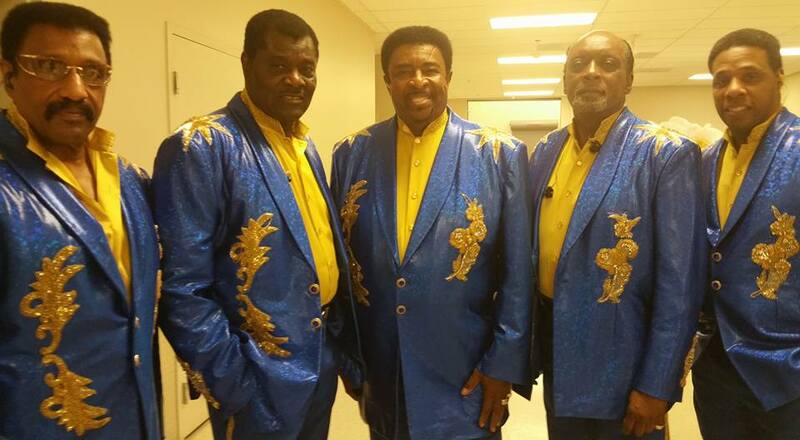 He piloted the group ” The Temptations Featuring Dennis Edwards” which included “Paul Williams Jr” (Son of original member Paul Williams) during the 90’s and continued touring in recent years. He is a “Temptation” that will truly be missed. R.I.P Dennis Edwards and thank you for sharing your voice and talent with the world. CHECK OUT 5 MUSIC FESTIVAL PICKS THIS SUMMER !